Lipscomb University invited donors of $1,000 or more annually to a night highlighting innovation on Monday. 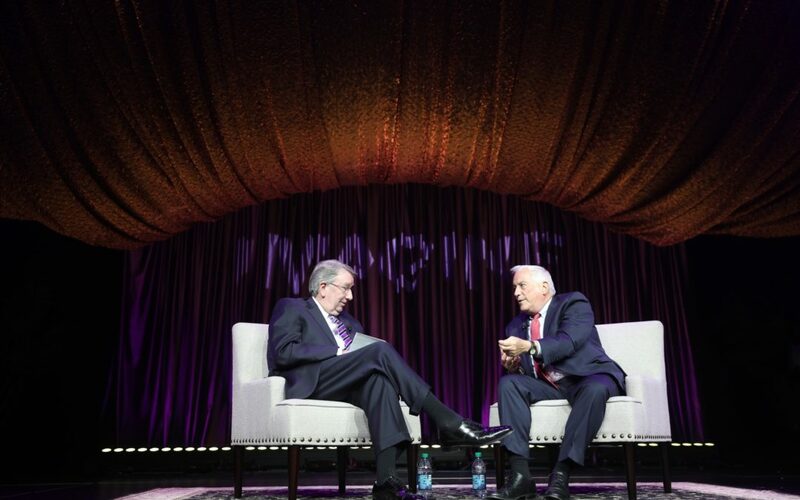 The fourth annual IMAGINE event featured special musical performers Dr. Wintley Phipps and Natalie Grant and guest speakers Mark Cleveland and Walter Isaacson. IMAGINE serves as a celebration of Lipscomb’s achievements and has also been the platform of several big announcements for the university, such as a $23 million donation at last year’s IMAGINE. This year’s focus was Lipscomb Leads, the $250 million fundraising campaign. Student body president Sierra Sparks shared with the guests the 200,000 hours of service students have pledged to contribute to the Lipscomb Leads campaign. After a performance by Phipps, Lipscomb alumnus and CEO of Hytch Mark Cleveland was welcomed to the stage. Lipscomb is a huge supporter of the rideshare app, and Cleveland shared with the donors his vision for the company and the innovative steps it’s taking. Cleveland said that he wanted to be a part of the Lipscomb community because he wanted to join a group of problem-solvers. He joked about getting an A on his paper about Hytch, and he urged the audience to find their community of innovators. “On your daily commute the empty seat in your car is both a problem and an opportunity,” Cleveland said. 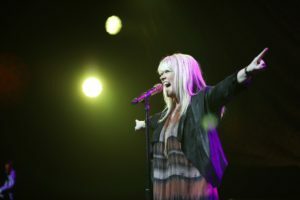 The event’s second musical guest was seven-time Grammy nominee and five-time Dove Award winner for Female Vocalist of the Year Natalie Grant. Grant is a long-time supporter of Lipscomb, and her performance commemorated 20 years since her first album release. Grant dedicated a song from her very first album to Dr. Netterville, who removed the cancer that was pressing against her vocal nerve. Lipscomb president Randy Lowry took time to celebrate the men’s basketball team’s success in the NIT, inviting the team to the stage and earning a big applause from the audience, before sitting down with Isaacson. The CEO of the Aspen Institute and former editor of Time Magazine, Isaacson talked with Lowry about his career and growing up in New Orleans. The journalist also talked about his biographies on Leonardo Da Vinci, Steve Jobs and Ben Franklin, three men known for their innovation. Isaacson said the key to having creativity in cities and seeing innovation is having universities like Lipscomb. “One of the most important things we do in life is balance tradition with innovation, and you want to keep true to both,” Isaacson said. The annual event ended with Phipps singing the well-known song “This Little Light of Mine” as the audience raised their Lipscomb keychain flashlights and waved along.